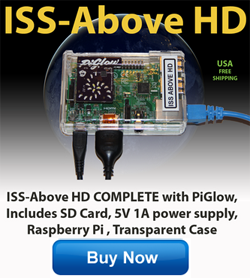 Before the ISS-Aboves are shipped I have been adding a lot of much needed features to the code – one thing I promised during the Kickstarter was to include support for a couple of new display devices. I am pleased to announce the release code will support the PiFace Control and Display which is an add-on 16 char x 2 line display – plus it will also support the Blink(1) from ThingM. Video will be posted later.